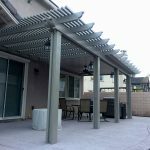 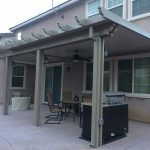 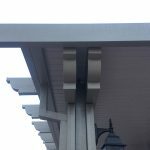 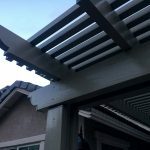 The main support of an Alumawood patio cover is the 3×8 inch header beam. 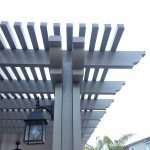 You can use a single, double, single with steel or double with steel. 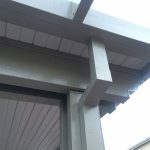 Below are some pictures of the double 3×8 headers.